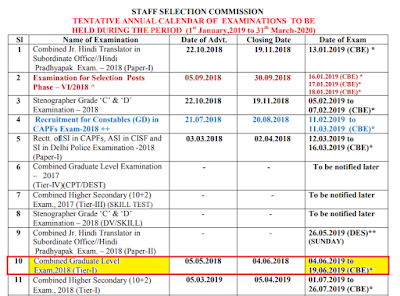 We are here with very important Staff Selection Commission Exam Calendar updated on 25th January 2019. 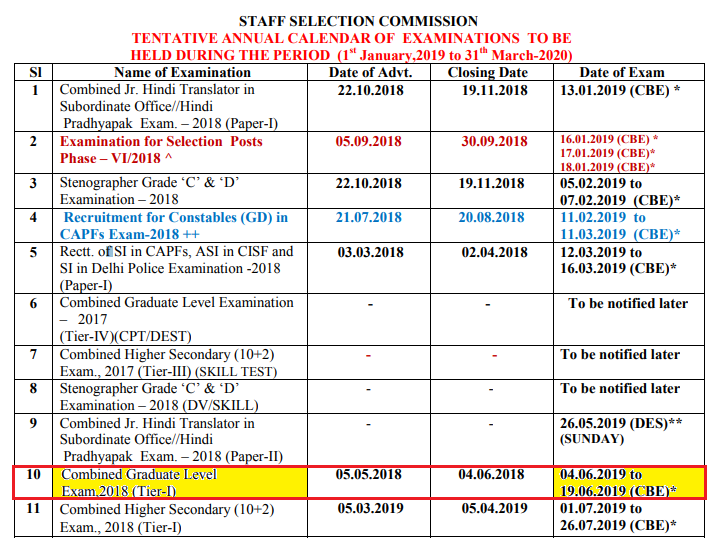 SSC CGL 2018 Tier I will be held from 4th June 2019 to 19th June 2019. For other exam dates please check official exam calendar and download it from given link. Best of luck.